Source Soft Solutions is a leading mobile app development company, with expertise in mobile application strategy planning, stunning design and impeccable development services for iPhone, Android, Windows, Swift and Cross platforms. From simple to complex, we don't just build mobile apps, we build mobile experiences. We, at Source Soft Solutions, have a pool of talented and experienced designers and developers who together can transform your raw business idea into a user friendly and highly engaging mobile application that empowers your business growth. 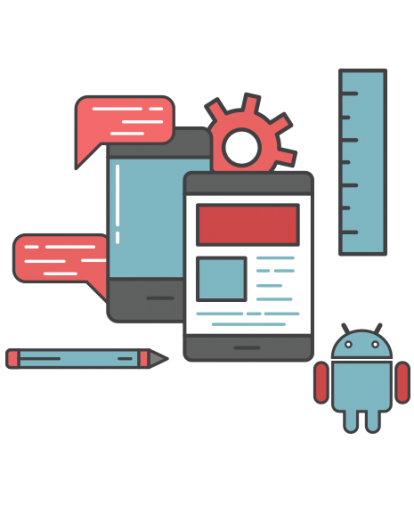 Our mobile application design and development services include consulting, UX/UI designing, developing, launching and managing your app post launch. With decades of experience in mobile app development, you can rest assured that your project is in competent hands. Being a trusted name in providing reliable mobile application development services, our team ensures to build robust apps for B2E, B2B, and B2C processes. Get ready to earn higher ROI. Why Hire Source Soft Solutions For Mobile App Design & Development? Being a renowned mobile app design and development services provider, our team of developers have extensive experience in creating feature-rich, engaging and high quality mobile applications for all major mobile platforms. We also specialize in building cross-platform mobile applications that will work on any device or platform. Whether looking to create a mobile application for smartphones, tablets, smartTV or gaming consoles, Source Soft Solutions has got your organization covered. “Why choose Source Soft Solutions?” Mobile application development is at the core of our company values. Innovation, Creativity, Teamwork and Customer Satisfaction together forms the part of our DNA. You can trust us that we are driven by strategies, implementation and end-results. If you have an urge to be the best in the mobile marketplace and want to create amazing digital experience for your targeted audience, Source Soft Solutions’ dedicated team is the answer. Have a glance at the range of the brilliant mobile app design and development projects delivered by us. We have the best mobile app design and development team to work for you! Give us a call to discuss your project!